Hello Everyone! 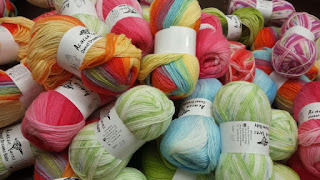 We hope everyone had wonderful holidays last week and now it is time to get back to some beautiful fibering! Spring is springing but there are still cool nights ahead. What a perfect time for a Spring hat that will also be welcome in the cool Fall. The Impatiens Lacy hat is perfect for Spring in the beautiful and bright Impatiens colorway from the Ivy Brambles Superwash Worsted Collection! Beautiful and easy this lace hat is knit in the round. The lace patterns continues all the way to the top of the hat for comfort. Sample is knit in Ivy Brambles Superwash Worsted yarn in colorway Impatiens. 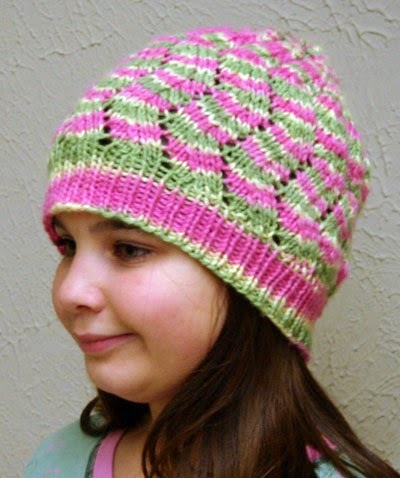 One skein of yarn makes the supercool hat and is sized for children through adult. Make one today and be warm tonight!